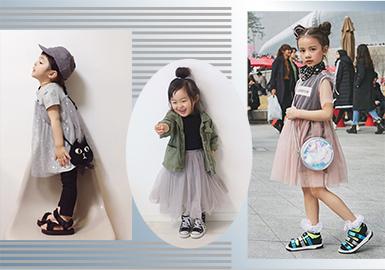 Pairing with a light tulle dress over T-shirt, shirts and basic dress can elevate the fashion sense, pearlescent pink and grayish green work as a highlight, while the classic black is essential in this season. Fashionista Ritty has many followers on WEAR for his Japanese style. He prefers black, white, gray and understated solid colors for simple but perfect looks. Ritty is a typical Japanese boy, and many people are attracted by his appearance. His layered looks are chic, with different hats to add charm, reflecting his personality with simple styles. As summer is just around the corner, sweet dresses stand out from street snaps. 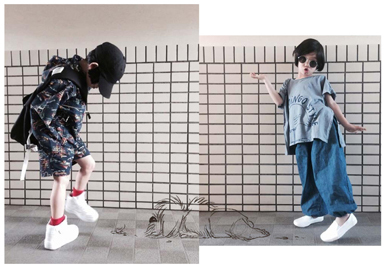 Little models wear cute blouses or camisoles, interpreting a Japanese style. A good taste in dressing reflects one's personality. Just like learning, it should start from a young age. 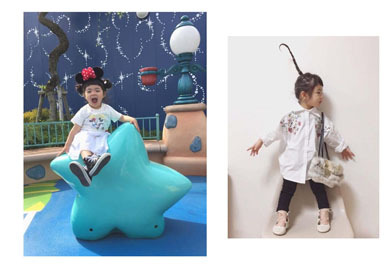 The 5 year-old girl Anika from East Asia is a fashionista, looking perfect in all styles.